A new report has revealed AU Optronics is supplying Apple with some of the display panels for the iPhone 7, and that the new phone will come with the 4-inch one as well. Supply chain sources told Korean site TechNews that Apple is looking for additional panel supplies for upcoming iPhone models and will need 4-inch, 4.7-inch and 5.5-inch LTPS In-Cell displays. 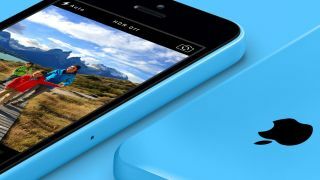 Take this news with a massive pinch of salt as the site's history of Apple news isn't 100% accurate, but it's not the first report we've heard that claims Apple is working on an iPhone 6C. Rumours suggest it'll be a similar set up to last time with a plastic backing and a 4-inch display and will sit at the cheapest end of the iPhone market – it may even take over from the iPhone 5S.